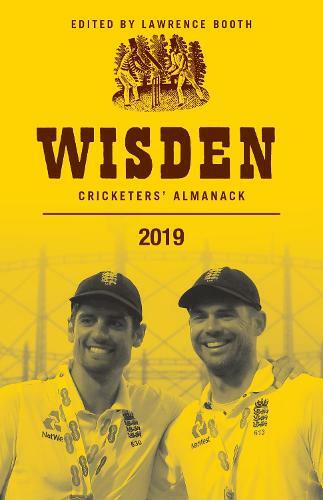 Wisden 2019 charts the rise and rise of the England one-day team as they head towards a home World Cup in the summer. It also revisits the 1979 tournament, when England made it to the final, but lost out to Clive Lloyd's all-conquering West Indians. Jon Hotten lifts the covers on the tricky life of the groundsman, under pressure from player and administrator alike, while Richard Hobson examines how cricket began again in 1919, a few months after the end of the First World War. Jonathan Liew considers the traditional measure of the batsman's art, 250 years after the first century was recorded. There's a look beyond the cricket ground, too, now that Imran Khan, one of the towering figures of Pakistan cricket, has become prime minister. Peter Oborne and Richard Heller size up the scale of his task. And Wisden meets an astonishingly courageous young man: Waleed Khan was shot eight times in a terrorist attack on his school in Peshawar, but has found a renewed zest for life through a deep love of cricket. Everything from the cricket year - from Ben Stokes's trial for affray to the game in Leicestershire that had to be stopped when a parrot landed on a fielder's shoulder and wouldn't budge - is here. WHAT Did You Say Stopped Play?